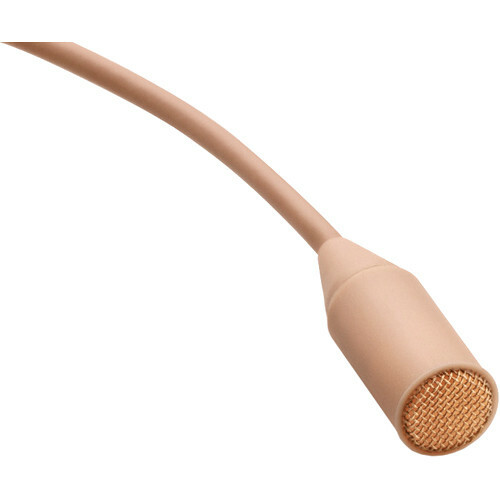 The beige d:screet 4071 Omnidirectional Low-Cut, Presence Boost Microphone and Windscreen, Clip, Concealer with MicroDot Connector from DPA Microphones is designed for use in performance applications to capture audio for broadcasters, TV studios, news anchors, stage plays and more. It features a 4071 omnidirectional condenser microphone with a low-cut and presence boost equalization built into the capsule. This microphone features a frequency range of 100Hz to 15kHz and is resistant to moisture and extreme temperature changes and humidity. The kit features a windscreen, mic clip, concealer, and 2 protection grids.